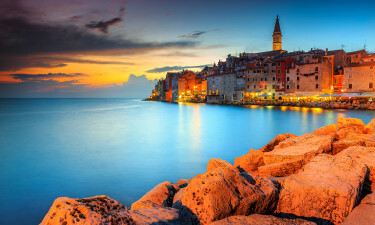 Istria is a large peninsula that is located upon the Adriatic Sea. 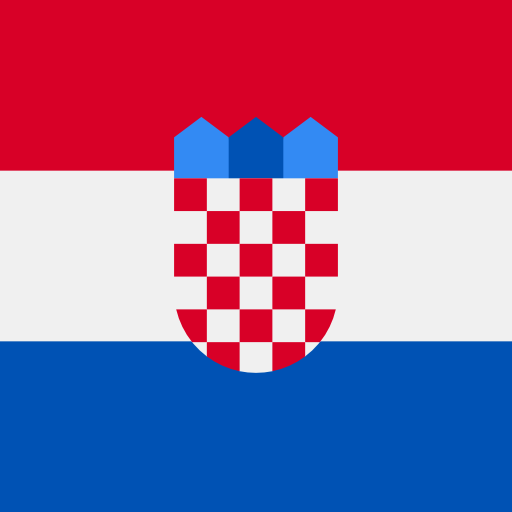 Interestingly enough, this region is shared by the countries of Croatia, Italy and Slovenia. Not only does this provide an interesting multicultural aspect to the area, but its enviable environs have enabled countless luxury camping sites to flourish. For more information or to book a much-needed holiday, please contact Lux-Camp. 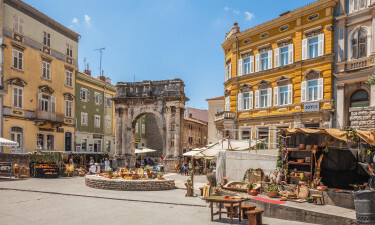 Istria: The Best-Kept Secret in Europe? While camping in luxury is perhaps the greatest factor within Istria, it is also important to note that numerous cultures have inhabited this region. So, a melange of cuisines and local customs that is impossible to find elsewhere can be experienced here. Unlike other regions which offer luxury camping facilities, Istria is defined by a number of different climates. So, skiing in the winter is just as much of a reality as bathing in the summer. Having received numerous awards from reputable travel guides, this peninsula is indeed one of the must-see destinations on the planet. Why Should I Camp in Istria? Not only are the luxury camping sites here located upon the inviting waters of the Adriatic Sea, but Park Umag also features premium pitches for mobile homes, luxury and bungalow tents. Family activities include swimming, sports and even a pirate ship. Found within the heart of Istria, Bi Village is a seaside resort located but a few kilometres from the city of Pula. Some of the numerous amenities include a freshwater swimming pool, two beach restaurants, a traditional pizzeria and an on-site shopping centre. Bi Village is ideal for families with children, as numerous activities are available. A beach that stretches for more than two kilometres defines this luxury camping facility while there are just as many on-site attractions which are designed to cater to the entire family. Boasting a privacy that is often not found within other holiday camping sites, mobile homes, bungalow tents and luxury tents are all available. The Zelena Laguna resort also provides a variety of different sporting attractions. Many of the beaches here are noted as offering high-quality water alongside white sands. Of course, these are some of the main attractions of this region. There are also countless caves to explore and while the local flora is not to be missed, the waters are home to some of the rarest types of sea life in the Mediterranean Sea. Thankfully, all of the camping holidays are within this same region. Although the luxury camping sites are not to be missed, Istria offers unique attractions for the entire family. A handful of these include spas and wellness centres, massive sports facilities and untold kilometres of nature trails. This region offers a unique mix of fresh seafood and locally grown meats. Cured ham, wild asparagus and truffles are known throughout the peninsula while Italian and Croatian wine provide an interesting medley. The local inhabitants are particularly welcoming. The climate here can vary. While the coastline is known to offer Mediterranean temperatures, inland conditions are much more continental. Winters are mild and summers are quite warm. However, northern breezes tend to moderate the excessive heat. 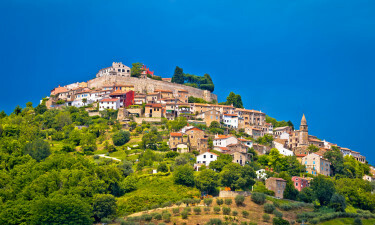 Istria is quite historically rich. In fact, it has been occupied (at one time or another) by such peoples as the Slavs, the Austrians, the French and the Italians. Therefore, any camping holiday here is also defined by an interesting mix of cuisines and traditions. For more details, please contact Lux-Camp at your convenience.